Over Christmas 2012, I fulfilled one of my wishes from the past few years: explore the railroads in and around Kłodzko, Poland. Kłodzko is a small town in Lower Silesia in south-western Poland. It lies in the center of a valley that on the map appears to carve out a chunk of the Czech Republic. The region's principle city of Wrocław is 90 km to the north and to the south, east, and west lies the Czech republic. This unique location makes it ideal for a transport hub. The European route E67 highway winds its way from Náchod, Czech Republic, through the picturesque mountain spa towns of Kudowa-Zdrój, Dusznicki-Zdrój, and Polanica-Zdrój before reaching Kłodzko. Dancing around this important highway, barely visible from the road, is a single-track, abandoned railway line that cuts through the surrounding forest. Service ceased a few years ago and the inevitable overgrowth has begun to swallow its rusting rails. It was this line that first piqued my interest in Polish railways and it seemed to indicate that all was not well with the region's rail transport system. 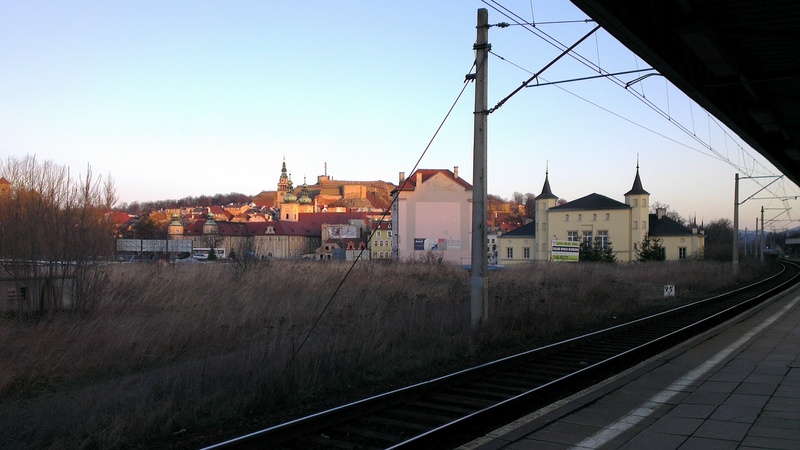 On 27 December 2012, I braved the cold weather and drove down to Kłodzko Główne railway station. I was surprised to find a rather busy station with quite a few arrivals and departures during the hour or so I was there. Whatever the bigger picture is with rail in Lower Silesia, my trip to the station that cloudy Thursday morning revealed that life on the track does indeed live on. I apologize for the quality of the pictures. I took them with my mobile phone and its camera isn't great. 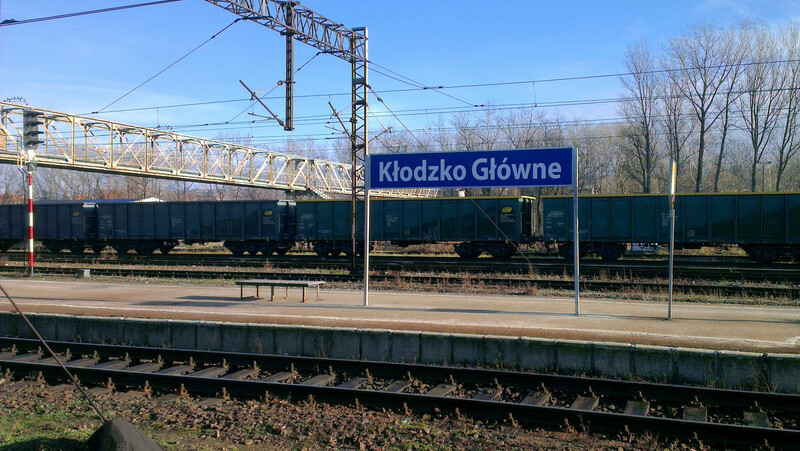 Kłodzko Główne (Kłodzko Central) is one of two stations in the town, the other being Kłodzko Miasto (Kłodzko Town). Despite being further from the town center, Kłodzko Główne seems to be the busier of the pair. It is currently being renovated and construction was ongoing during my visit. The project promises to bring back some of the station's historical charm, including the installment of a period clock, while improving access for the disabled. Measures are also being taken against graffiti which is unfortunately a big problem, especially at its sister station, Kłodzko Miasto. This picture comes from a return trip to the station on 29 December 2012. It was a beautiful, crisp winter day. The blue signs seem new.